Are you struggling to grow your Instagram as a digital artist? Is the Instagram algorithm a total nightmare for you? I have been there. That was until I implemented all the tools I am using now to grow my Instagram as a digital artist. Do you want to get the exposure your digital paintings deserve? Read the blog post to find out the tools you need to use. Inside this blog post, I am going to show you how you can create digital art fast, by cutting your digital painting time in half, for when you are short on time, or when you don’t have time to draw. This blog post also comes with a free interactive checklist. Click through to read the blog post, and to download the checklist. In this blog post, I am going to give you 5 Strategies to make more money on Gumroad as an artist. Want to know how to execute every idea in detail? Make sure to download the Gumroad Creator Checklist (That is included in the blog post). Inside this freebie, I will show you how to implement all of these strategies step by step, so you can start increasing your income right away. Ever thought about selling your own custom digital painting brushes or other digital products? Stop looking! This article is for you. Gumroad is a platform that makes it possible for creators like you to sell your products to customers with ease. In this blog post, I will be showing you how you can color your digital art in Adobe Photoshop. I know that a lot of people are struggling with digital painting, that is why I described my art process in 10 easy steps. + A free Skillshare class. So, where should you exactly blog about as a digital artist? I am glad you asked. I have generated ten blog post ideas for you + a detailed blueprint for you to follow of each blog post I am suggesting. In this blog post, I have teamed up with 9 other digital artists to share the things we wish we knew earlier about digital painting. In this tutorial, I will show you how you can protect your artwork as a digital artist without cluttering it with a watermark. In this blog post, I am going to show you how you can use Printful to sell your digital art on physical products like mugs, pillows, t-shirts, and even more products. As you know, I highly support it to monetize your art as a digital artist. 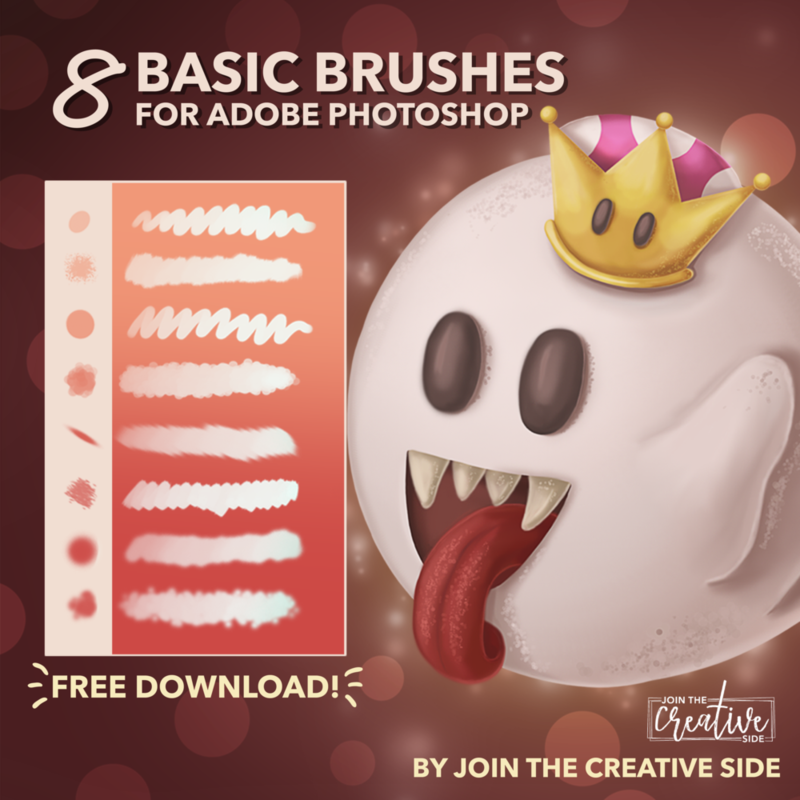 It is time for you to ditch the standard Photoshop brushes, and invest in some killer brushes that will help you to skyrocket the quality of your digital paintings. I laid down the top 10 Photoshop brushes I recommend you invest in!